My Sky is Falling (MSiF) is an experience design that harnesses technology and story to create empathy for the challenges faced by foster care children. MSiF was presented at Envision on Thursday, April 11 as an innovative project going beyond the screen. Envision is a program of IFP in collaboration with the United Nations Department of Public Information. 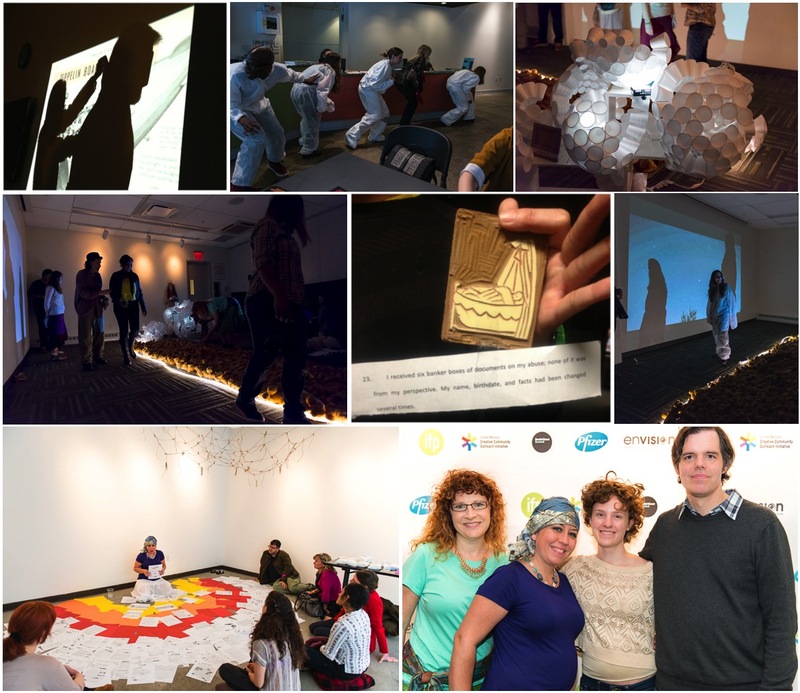 Guided by immersive performances and sensor technologies, participants in MSiF uncovered a dystopian sci-fi tale. The ending showed MSiF’s roots in real experiences of foster care. MSiF is a project of Reboot Stories, a startup dedicated to harnessing story and technology for social change. Designing with instead of for is key to Reboot’s approach to purposeful storytelling. MSiF was designed with former foster care kids through a partnership with Echo Garrett, co-founder of Orange Duffel Bag, the only initiative in the nation advocating for and mentoring youth aging out of foster care. Creativity and expression is at the center of them supporting passion in their youth. Ira Deutchman, chair of the Columbia Graduate Film Program, helped open up Lance Weiler’s New Media Producing class last fall so we could beta test MSiF with interdisciplinary Columbia students, many of whom drive the project forward today. Data Researchers at The Harmony Institute have from the beginning worked alongside our storytellers to innovate new ways to measure the social impact of this immersive experience. Laura Arena of the Lucky Gallery has brought a host of passionate designers who have raised the aesthetic level of MSiF. Lastly, inventor Rosalind Picard, Sc.D. donated Affectiva biosensors from the MIT Media Lab to give further insight into social impact. MSiF is an incredible phenomenon in co-creation in the spirit of innovation, open access and social good. Similarly to how people contribute freely to open source software like Linux, MSiF emulates a growing movement of open design initiatives; the value proposition of this rich community grows with every collaborator. Reboot Stories uses an organic, iterative and open design process that draws from other projects and collaborators in our ecosystem. For MSiF, we began with a “Wish For the Future Open Design Challenge” at Columbia. Students and visiting artists created a design question and rapidly prototyped the solution. Over the semester, visiting game designers like Nick Fortugno, film producers like Christine Vachon and data researchers from the Harmony Institute worked with us to paper test game mechanics, new models for immersive data mining, and social impact. Lydia Joyner and other artists with foster care experience helped to write and give feedback on the project. MSiF was finally beta tested with an audience of 40 participants at the end of the semester. MSiF will be published as a creative commons framework for foster care groups like the Brevard Family Partnership and ASPIRAnet to use in training sessions for potential foster care parents and social workers. We’re also experimenting with creating an online game. This immersive experience will be free to produce and open for all. The intent is to help participants understand on an emotional level what it is like to be a foster child. Reboot Stories looks forward to seeing you at My Sky is Falling at diydays, on April 27th.